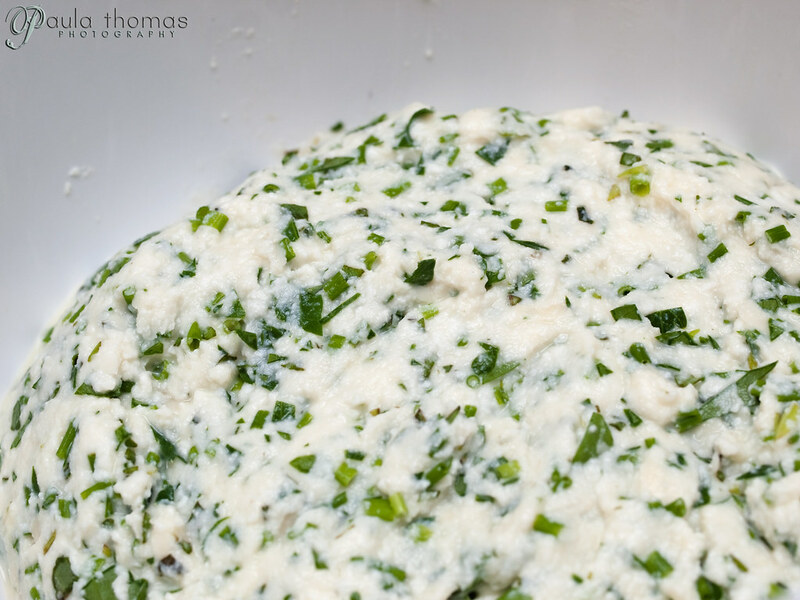 A recipe from the Pasta and Risotto section of the HerbFarm Cookbook. This was my second and more successful attempt at making home made pasta. 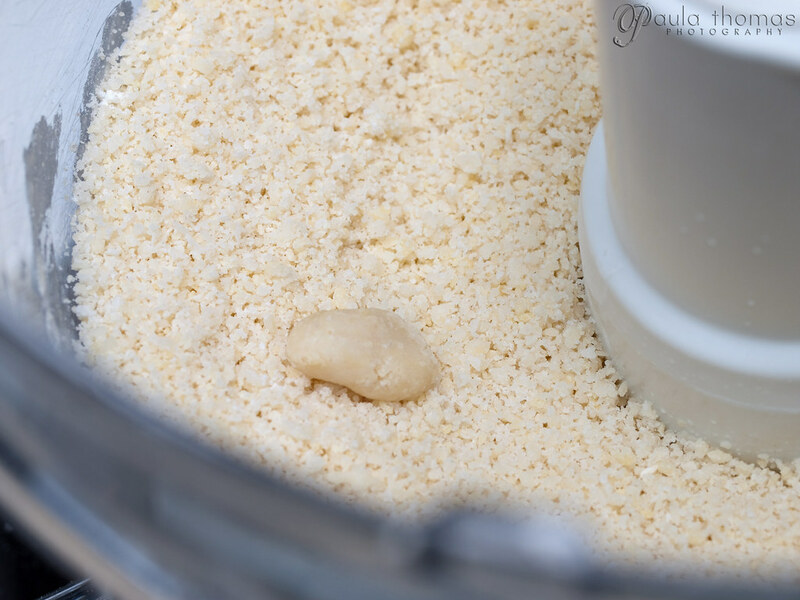 If you haven't tried making pasta dough in a food processor, it's the way to go! So easy and less messy. The dough came out perfectly this time. 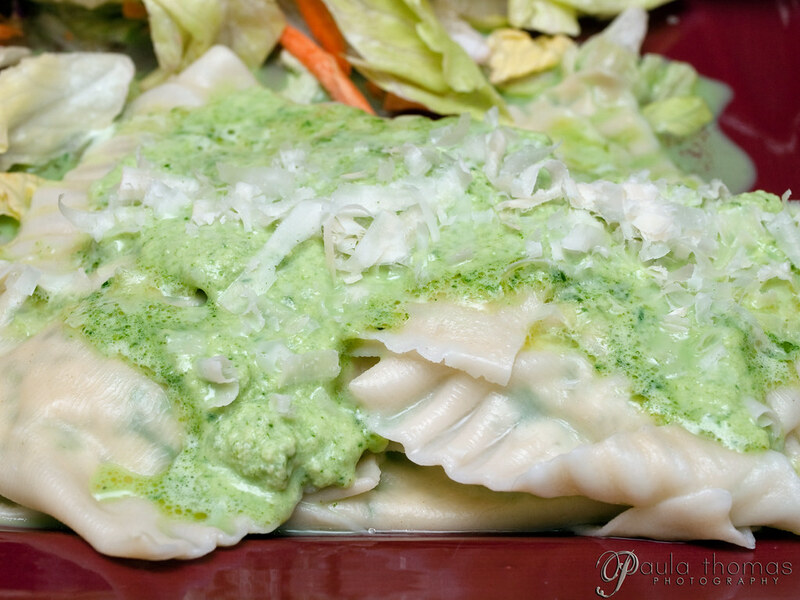 The trick is using rice flour to coat the pasta because it doesn't get absorbed into the dough as much as regular flour. 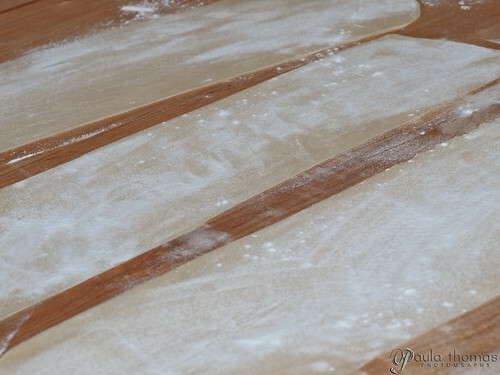 We rolled out 4 strips going down to the 2nd to last number so the pasta was paper thin. We forgot to put rice flour on one of the strips and you could definitely tell the difference. That one was a little more difficult to go through the rollers of the pasta maker. 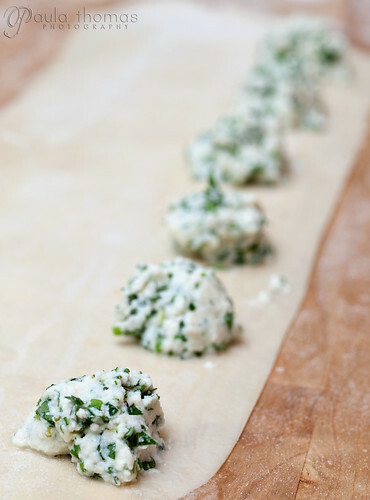 We filled the ravioli with ricotta and herbs. I don't have a pasta crimper so we used a fork to seal the edges which worked just fine. I'm always amazed at how quickly pasta cooks. Just a couple of minutes and they were done. The sauce was simply butter with some herbs in it. We however decided to make a modification to it. The recipe didn't say to chop the herbs and the flat leaf parsley I had was rather large, I probably should have chopped it some but followed the directions and added whole leaves to the melted butter. It just didn't seem right so we decided to try blending the herbs in the butter which made a thick paste so we added some cream but that didn't seem to thin it out much so we added milk. Eventually we got something to the consistency that looked right. Unfortunately the sauce didn't taste as good as we had hoped. Other than the sauce failure it turned out pretty well. However the filling could have used a bit more salt. I think I'll be using a food processor anytime I make a pasta dough from now on. This looks totally awesome and sounds absolutely heavenly to eat! What Lisa said!! 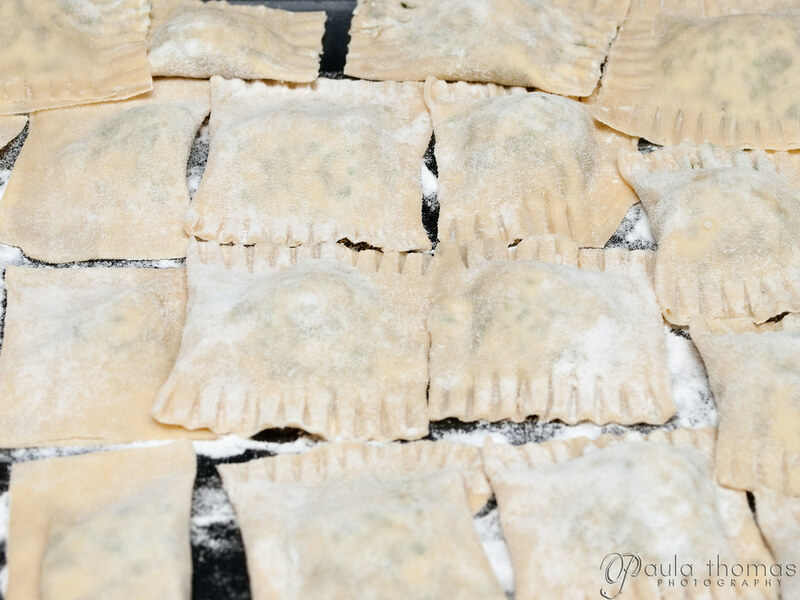 Beautiful looking ravioli, and I love your pics of the steps. Couple of questions: a) how long did the whole process take? I'm a very slow cook, and have shied away from this sort of thing (and tamales) since it takes me so long. b) I've not tried the food processor for dough, good idea. Have you tried a stand mixer too? Looks like the whole process took about 2 1/2 hours. That included letting the dough rest before rolling it out. Could probably do it faster now that we know how to do it. Oh and no haven't tried using a stand mixer. I've only made pasta twice and the first time was the old fashioned way of making a pile of flour and making a hole in it and mixing the ingredients in the hole.